I want to use Xcode 7 with iOS 10. As I understand, working with iOS 10 beta requires Xcode 8 beta, so I should upgrade my Xcode. However, my code can't be built by the new compiler, so I want to stay with Xcode 7. You need use DeveloperDiskImage from Xcode 8 Beta. For this extract Xcode 8 Beta app and copy DeveloperDiskImage for iOS 10 to your Xcode folder. After copy DeveloperDiskImage you should start Xcode and connect iOS device to your mac. You can use any SDK on an older build of Xcode simply by copying and pasting the folder of the OS you need. 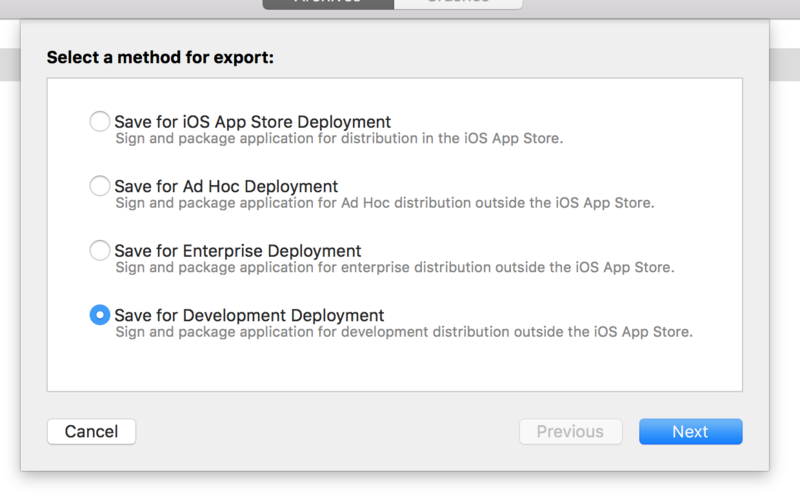 Also you obviously cannot have two apps with the same name so just rename them to Xcode 7 and Xcode 8.
right-click / ctrl-click the Xcode 8 application icon to show the package contents and navigate to this location and copy the iOS 10.0 or WatchOS 3.0 folder etc. Then navigate to the same location in Xcode 7 and paste the folder. Restart Xcode 7. You'll have to wait a while for Xcode to rebuild the symbols etc. For me none of the above suggestions worked. Although copying the folder containing the disk image is still the best way to go, i had no time downloading the newest Xcode to get hold of the disk image folder, so i basically archived the app and exported it using the save for development deployment option, then installed it on the test device using iTunes app. In my case i hade Xcode 8.0 wanting to build on a 10.2.1 iOS device. Pascal && Fanruten are right. tested on 12th aug, Xcode Version 7.3.1 (7D1014) AND iOS 10.0 (14A5309d) on iPhone6 Plus. I made a symbolic link as suggested (path are a bit different... see below.) but works with linking to Xcode Version 8.0 beta 4 (8S188o). Tymac's answer almost worked for me. Rather than copy and past, I had two Finder windows opened and then dragged the iOS 10 folder to the Xcode 7 folder. 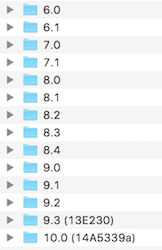 Once it's in Xcode 7, open the folder and make sure there is a dmg file. Earlier I had dragged a copy of the iOS 10 device support folder to my desktop then copied it to the Xcode 7 folder. That seemed to unpack the dmg file so Xcode 7 still complained. Needs to be a dmg file in the folder. my two cents for Xcode Version 10.2 beta (10P82s) against Xcode 10.
in this way I can use my iPhone with iOS 12.2 (16E5191d)from wishing std. Xcode. Is it possible to develop for the iPhone 7 with Xcode 7.3? How do I test my iOS9 app on an ios10 beta device? How can I build for iOS 10 device with Xcode 7.3?